EdWeek just published an article by Stephen Sawchuk, How History Class Divides Us. Reading it at the elegant Ascension Coffee in Dallas yesterday, I chose not to give in to my impulse to alternate between shouts of “Amen!” and “Damn straight” (over and over again). I’d like to maintain my access to Avocado Toast on Hippie Bread + pourovers. Mr Sawchuk kicks off by noting the recent controversy at the State Board of Education over the history teaching standards related to — what else — The Alamo. My faithful readers will not be surprised we’re going to turn to Mike Judge, the Oracle of Austin, to illustrate this point. 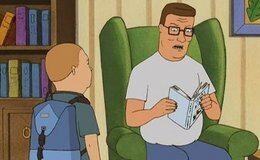 A 2004 King of the Hill episode, “How I Learned to Stop Worrying and Love the Alamo,” told us everything we need to know about how culture wars over history textbooks have led to the dumbing-down of content. “How I Stopped Worrying and Learned to Love the Alamo.” King of the Hill, 2004. The Alamo was a mission in present-day San Antonio, population 1.5 million. Americans have never been all that united as to what belongs in or out of history classes, or even which specific civic values those classes are supposed to inculcate. Civics and history are deeply intertwined subjects. Poor history learning undermines civics education. It does more than just remove context and facts from discussions — it robs students of the opportunity to practice moral reasoning. It is impossible to get all parents to agree on the scope of history books. This inevitably leads to dumbing down of the content in those books and further perpetuates the problem. First, I think there is a possible policy solution. Allowing parents the opportunity to choose private schools will lead to better sorting in terms of ideological pre-commitments. Before you object that this will only make polarization or national instability worse, I’d recommend you take a look at Corey DeAngelis’s recent paper on the role of private education enhancing the stability of nation-states. Counterintuitively, forcing a single narrative on all students will actually lead to more cynicism about “fake news” and facts in general. And to respond by removing all controversy take the life out of history. Better to deal with those controversies in communities where there is trust and solidarity, rather than in courtrooms where there is only coercion and constraint. 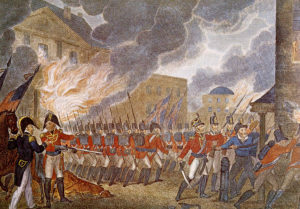 Second, as discussed in Mr Sawbuck’s story, there are curricular resources that can make history class better, as well as prepare students for civics education. For parents, teachers, and students who want to fall in love with history, my personal recommendation is the Gilder Lehrman Institue . It offers rich resources for primary-source based curricula, outstanding teacher development events, and online courses. GLI’s online library has over 60,000 American history primary documents digitized and available for free. Learning both sides of a story builds empathy, moral reasoning, and maybe even the ever-elusive unicorn of education-reformers, critical thinking skills. It’s time that we, like Hank Hill, take history seriously. I’d like to share a little bit about my own journey to learn new skills, especially analytical skills. Analytical skills are things like being able to apply statistical models to data sets and thereby derive useful insights from them. I’ve been taking some courses in Python as preparation for a data science program. After completing this introduction, I’ll need to take some courses in statistics. I’ve used Memory, verbal, auditory, (not spatial) abilities (“declining” skill #2) every single time I’ve settled down to complete basic Python lessons via MOOC. I don’t know how I would be able to track the lessons, delivered via written notes and video (with speech), without “verbal and auditory abilities.” Oh, and also, it’s kind of important to remember what you’ve learned from lesson to lesson in order to complete the end of course coding assignments. So, you do need some “memory abilties,” too. As to spatial abilities, when and if I get to the point of actually being able to slice up and use data sets, knowing how to present that information in useful, interesting, and memorable ways via infographics will absolutely require extremely well-developed spatial abilities. 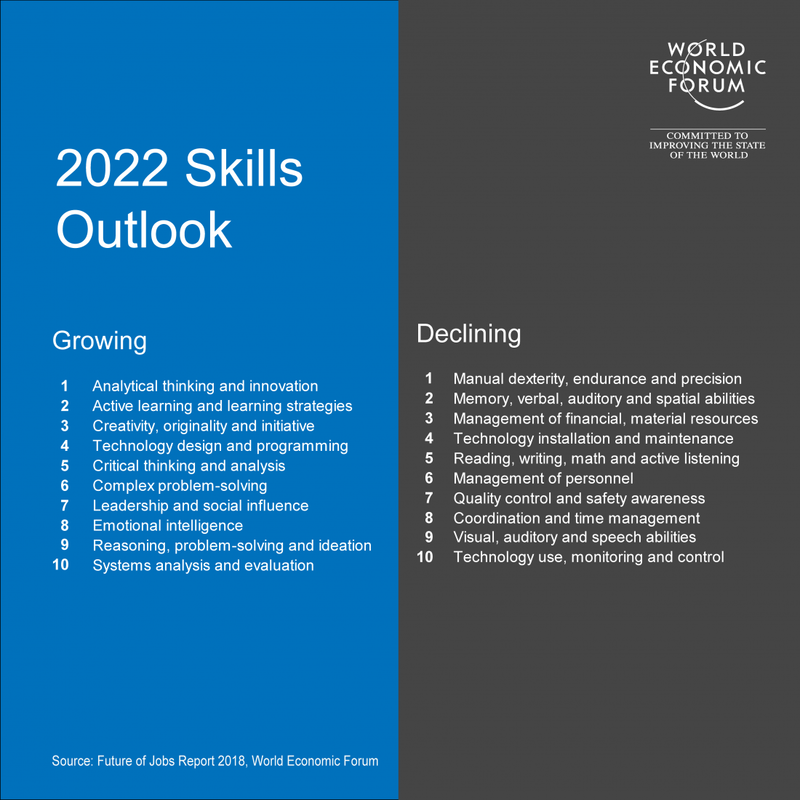 Reading, writing, math, and active listening (“declining” skill #5) are sine qua non for learning “analytical skills.” It’s particularly weird to see math on this list. 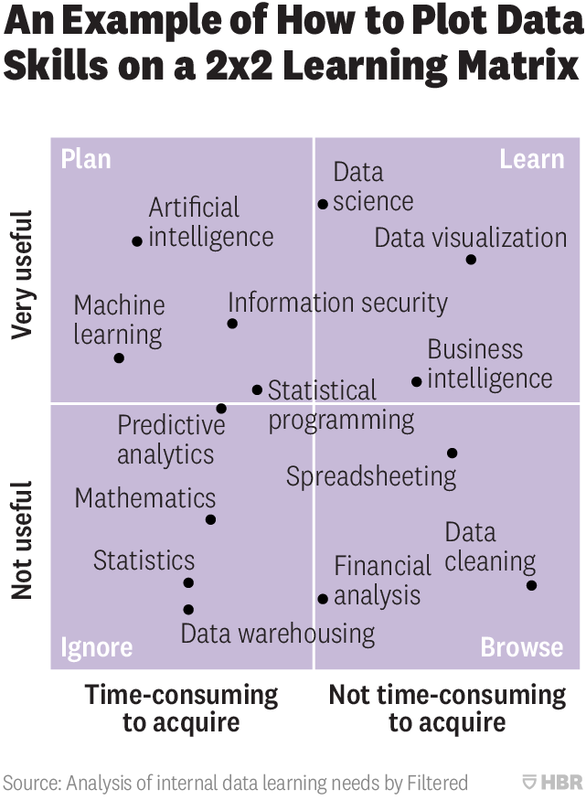 I can assure you that data science jobs (one of the fastest growing categories of jobs now) are typically filled by people who are pretty dang good at math. Statistics are a basic pre-req for learning “analytical” skills needed for these kinds of jobs. Anyone can enroll in this MicroMasters program. It is designed for learners that want to acquire sophisticated and rigorous training in data science without leaving their day job but without compromising quality. There is no application process but college-level calculus and comfort with mathematical reasoning and Python programming are highly recommended if you want to excel. All the courses are taught by MIT faculty at a similar pace and level of rigor as an on-campus course at MIT. This program brings MIT’s rigorous, high-quality curricula and hands-on learning approach to learners around the world – at scale. This program is targeted at folks who would like to be qualified for one of the hot (and highly compensated) jobs in data science. But guess what? It would really help if you had COLLEGE LEVEL CALCULUS in order to take advantage of this offering. If you never learned algebra well, you’ll struggle in calculus. If you don’t have calculus, you may not have access to the best jobs that the 21st century is currently offering. Enjoy your low-paying occupation that robots (enabled by data science) will soon make obsolete. There is more than a whiff of class privilege that lists like the one published by WEF give off. 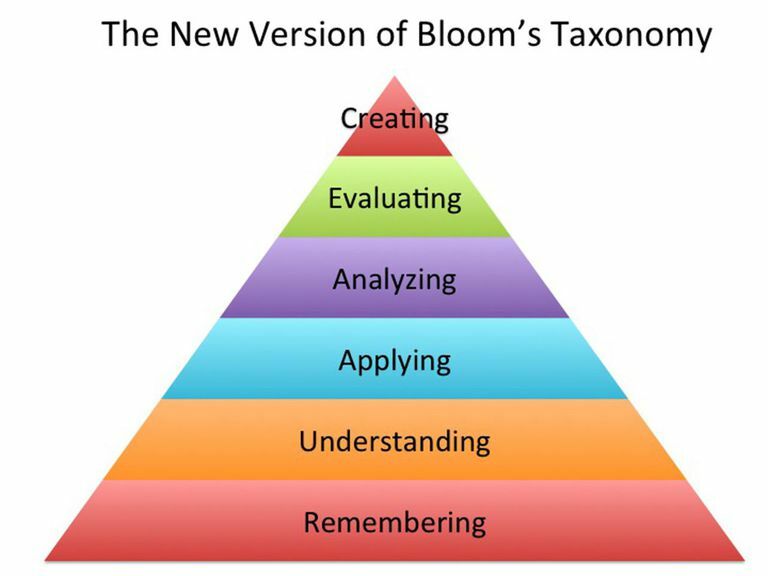 If you were to break it down (i.e., analyze) the list of so-called skills, you’d realize that they aren’t skills at all but by-products of a well-rounded, character-enhancing, rigorous education. You know, the kind that kids who attend great schools with lots of family support take for granted. By diminishing the importance of strong abilities in math and reading, lists like these and the un-critical adoption of them as measures of educational quality can actually be used to excuse the failures of the educational status quo. ACT scores in math are actually declining? NBD, math isn’t that important. 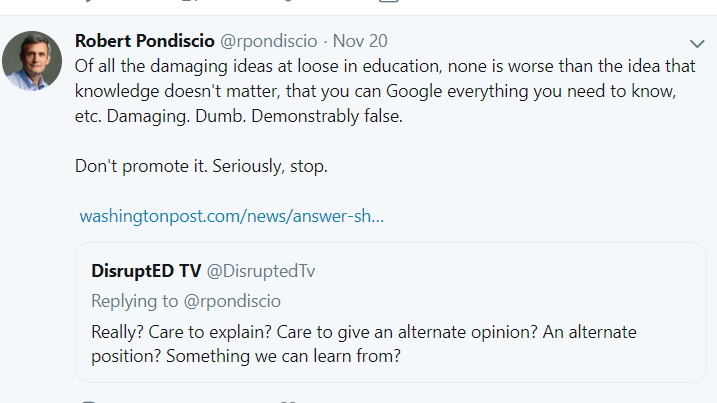 Well, unless you want the kinds of skills that give you access to the decision-making class — the class that publishes lists that take cultural literacy, math, and verbal abilities for granted.